Handy opener for crown top bottles and pop top cans. 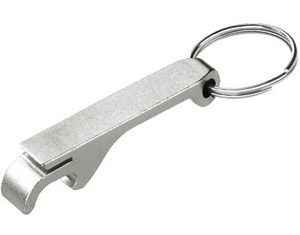 1” key ring attached so you are never without an opener. Natural Aluminum. About 2 1/2” long, 3/8” wide.